The Veterans Stress Project Testimony before Congress on Veterans and PTSD The House Veterans Affairs Committee held a roundtable hearing on Innovative Treatments for PTSD and TBI on July 20, 2010. Testifying on behalf of the Iraq Vets Stress Project were David Feinstein, PhD, Dawson Church, PhD, and Wayne Miller. They described how EFT is a huge breakthrough in the treatment of PTSD, the evidence-based research that has validated EFT, and their hope that this innovative approach will be rapidly implemented in the Departments of Veterans Affairs and Defense. …will be rapidly implemented in the Departments of Veterans Affairs and Defense. Dawson Church also testified before the House Homeland Security Committee in 2011. 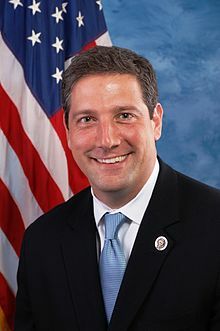 Several members of congress, including Rep Tim Ryan (D-Ohio) have urged Secretary of State for Veterans Affairs Eric Shinseki to offer EFT to all veterans.